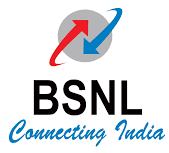 BSNL Jobs Recruitment 2017-18 for Jr Accounts Officer Posts: Bharat Sanchar Nigam Limited has Released Recruitment Notification for Jr Accounts Officer – 996 vacancies. Interested for getting Jr Accounts Officer Vacancies, May Apply online from 11-09-2017 to 15-10-2017 Hrs on wards. Qualified in M.COM / CA / ICWA / CS from a recognised institution / University. Candidates age limit 20 to 30 years as on 01-01-2017. Age relaxation is as per Govt rules. Applicant can deposit application fees Rs.1000/- (Rupees One thousand only) for OC/OBC candidates and of Rs.500/- (Rupees Five Hundred only) for SC/ST candidates shall be paid through online mode i.e. Internet Banking, Credit Card, Debit Card only. Interested candidates may submitting through apply online forms by visiting the website “www.externalexam.bsnl.co.in” on from 11-09-2017 to 15-10-2017 Hrs on wards. Online Application Begin: 11-09-2017 Hrs. Last Date for Online Application: 15-10-2017 Hrs.